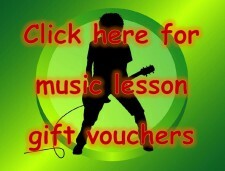 Welcome to Mark Randlesome guitar tuition. It is my goal to help you achieve your guitar, bass and ukulele playing goals in a fun and relaxed environment. Beginners are very welcome along with intermediate and advanced students! Face to face lessons in my dedicated teaching studio. eBooks that cover the very basics up to advanced level guitar playing . Currently 50% OFF! YouTube tutorials. Over 180 FREE tutorials online now. Choose a lesson plan to fit your learning goals and budget on the lesson details page. If you have any questions about anything guitar, bass or ukulele related then please contact me and i'll be happy to help.